A large part of Bundaberg Walkers operations is related to project work for the sugar industry, mining industry and general engineering projects. Products manufactured and supplied by Bundaberg Walkers include equipment for the sugar industry, mining industry and a range of general engineering applications. Bundaberg Walkers Engineering Ltd has the resources to take on large projects and has a well equipped workshop that is able to service industry demands. Our mission is to be a successful engineering, manufacturing and technical services business delivering to our customers the benefits of diversified production and innovative products. We are located adjacent to the City of Bundaberg and continue to provide economic growth and employment opportunities for the region. The City of Bundaberg is a major regional centre that is continuing to grow and develop to service the wider community. It is well positioned on the main eastern rail link and is close to the main coastal and inland road links for the state. Brisbane is accessible by rail services, a leisurely four hour drive, or a 50 minute flight from the Bundaberg Airport. The original Bundaberg Foundry Engineers Limited was established in Bundaberg Queensland, Australia, in 1888. Since then it has grown into a large manufacturing and engineering business. Today the business is a dynamic organisation servicing the needs of sugar, power generation, mining, marine and general engineering industries in both domestic and international markets by providing engineering services, manufactured equipment, technical services and design services. The business has developed from a small foundry to the current multi-disciplined engineering facility with the core business of Bundaberg Walkers Engineering Ltd being the design and manufacture of equipment for the sugar industry. 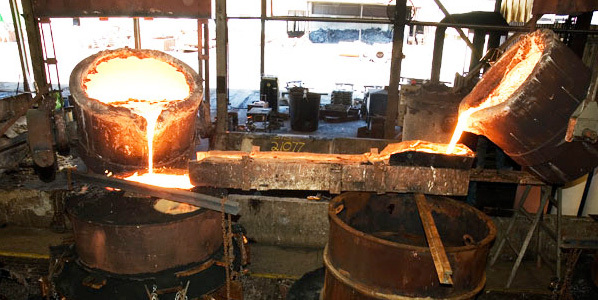 At present metal casting only constitutes about 10% of the business. Presently machining and medium to heavy fabrication are the principal functions carried out in the workshops. Diverse practical experience enables Bundaberg Walkers to provide services and products to more than just the sugar industry. General engineering applications, power generation, and the mining industry are also serviced by Bundaberg Walkers.